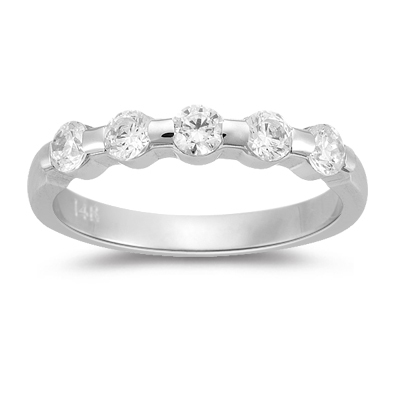 This is a beautiful channel set five stone ring with round diamonds. The ring is approx 2.9 mm wide. Estimated 14K Gold Gram Weight for Size 7: 4.75 Grams. If the ring size is smaller than 4 or larger than 8.5, please contact us at 866-697-6548 for pricing and delivery. If you order by 3PM EST today(4/25/2019),this item will shipped by May 11,2019. In any case, if the Ring you got from Mysolitareconcepts.comdoes not fit your size, please send it back to us within 30 days from the invoice date. We will resize it approximately within 10-14 business days, and this service is absolutely free of charge* (*However, the customer has to absorb all the shipping charges except the resizing as a result of Mysolitareconcepts.com’s error). 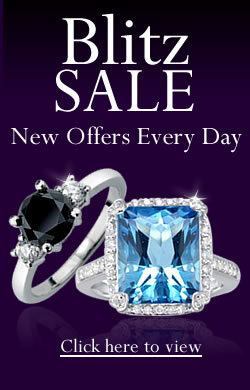 As some of the designs' resizing may damage the rings, please contact 1-866-MYSOLITAIRE for resizing confirmation.